This is an excerpt from an article by Michael Harriot published by The Root. Read the rest of the article here. Although I might be in the minority of black people, I am willing to admit that I love ABC’s reboot of Roseanne. I haven’t watched a single episode, nor do I plan to, but I like the idea that it exists. That’s why I love Roseanne. In the post-Obama era, America was all-too-willing to explain how racism was a thing of the past. After all, what could be a greater symbol of America’s progress on race relations than an African American president? As soon as Obama took office white people began collectively washing their hands as if they were brain surgeons who had removed a hate tumor. Instead of realizing that prejudice was just hiding behind artificially-whitened smiles, they pointed to Oprah, Tyler Perry and Olivia Pope as evidence that racism had gone the way of smallpox, the Dodo bird and the upper lips of any Caucasians older than 32. But the rise of President Sunny-D brought us back to reality. We now know that racists hadn’t gone anywhere, they were just biding their time. 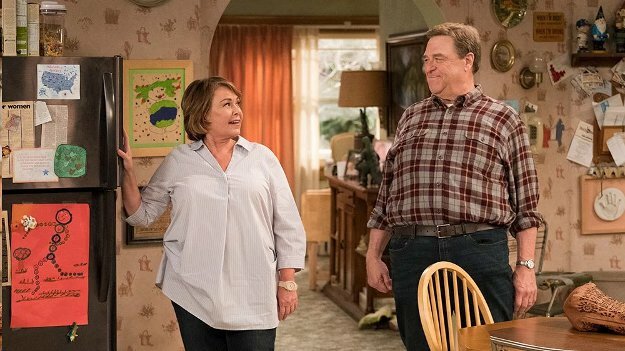 In this week’s episode of Roseanne, the show threw some shade at ABC’s diverse lineup when Dan, Roseanne’s husband, lamented: “We missed all the shows about black and Asian families,” apparently referencing ABC’s other minority-led sitcoms Black-ish and Fresh Off the Boat. Kelvin Yu, a Taiwanese American and television writer, took offense to the jab and posted a series of tweets that excoriated the show. Yu is largely correct. The joke may not have offended some people but ABC aired the funny-only-to-white-people quip less than a month after shelving an episode of Black-ish that addressed the Colin Kaepernick protests against justice and inequality. It made white people uncomfortable.